This is the second video in the Happy Valley Phonics Book 2 series. This chant from Unit 2 places minimal pair c and g, plus the vowel o into a chant for sound and first letter identification practice, building on the Phonanimals Song and Phonics Book 1. First, do picture talk to see what students notice and can find in the picture. Then, have students listen to Track 9 and point to the words in the song. Next, watch this video and encourage students to say the sounds and words. Give students flashcards and when they hear the word or sound they can bring them to the front and put them in order on the board. Move on to the Let's Chant sticker activity on page 7. Then, students can ask questions before moving on. Using What is it? 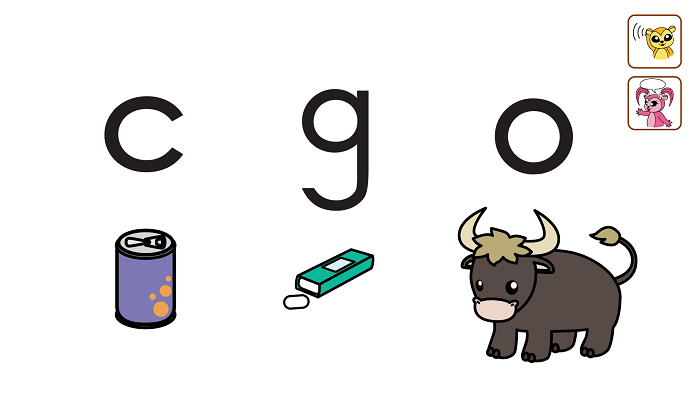 they can ask about other objects in the picture, and then tell you whether or not the word has the c, g, o sounds in it. Break the sounds down for them. Students ask What is it? pointing to cake. Teacher responds c-ake. Can they hear the c? If they can't, it's OK; have them say the c sound and keep trying. This is the second video in the Happy Valley Phonics Book 2 series. 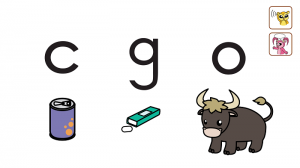 This chant from Unit 2 places minimal pair c and g, plus the vowel o into a chant for sound and first letter identification practice, building on the Phonanimals Song and Phonics Book 1. First, watch the Phonanimals Song video and do gestures. Then, watch this video and use gestures for the sounds and words. Use the free to download writing sheets on happyvalley.tv to start your child writing if they are ready for a quieter activity. Otherwise, pause the video with the three letters and objects showing and say c, g, or o. See if your child can draw the picture of the word with that sound. Then, have them say the word or sound and you touch the picture they drew that matches the sound or word they said. English School owners! Register now for the School Owners SIG Mini-Conference in Osaka on January 20! Watch presentations and participate in discussions tailored to owners of English schools in Japan on topics such as hiring, marketing, advertising, taxes, and more. Please add your comments - What do you do? How did you find these tips? We'd love to see YOUR videos. Please subscribe to the YouTube channel to get automatic updates - more videos coming soon! Download our free app on your iPhone or iPad.